How is preclinical MMVD diagnosed? To assess whether a dog has preclinical MMVD, a thorough history and physical examination should be performed at every visit. Suspicion for MMVD is raised when the veterinarian auscults a loud murmur. Areas of auscultation in the heart should include the mitral, pulmonic, and aortic valves on the left thoracic wall and the tricuspid valves on the right thorax. If a heart murmur is detected, thoracic radiographs (including calculation of a Vertebral Heart Score) should be done to determine if the dog’s heart is enlarged. Reference: 1. 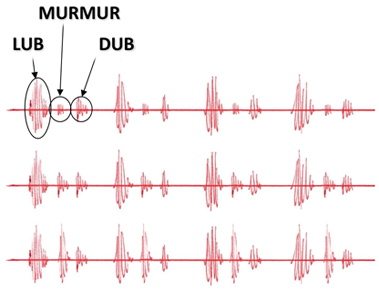 Prosek R. Abnormal heart sounds and heart murmurs. In: Ettinger SJ, Feldman EC, eds. Textbook of Veterinary Internal Medicine. 7th ed. St. Louis, MO: Saunders Elsevier; 2010:259–263. (eg, B1 or B2) or has progressed into heart failure. References: 1. Beardow AW. Veterinary cardiology diagnostics: assessing cardiac health in the 21st century. DX Consult. 2008;2(1):12–15. 2. Lamb CR, Wikeley H, Boswood A, Pfeiffer DU. 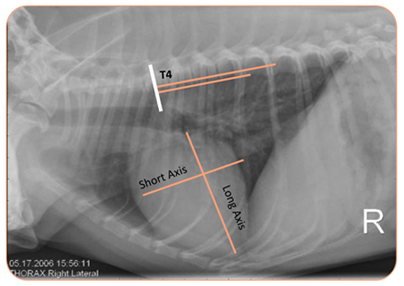 Use of breed-specific ranges for the vertebral heart scale as an aid to the radiographic diagnosis of cardiac disease in dogs. Vet Rec. 2001;148(23):707–711. References: 1. Beardow AW. Veterinary cardiology diagnostics: assessing cardiac health in the 21st century. DX Consult. 2008;2(1):12–15. 2. Atkins C, Bonagura J, Ettinger S, et al. Guidelines for the diagnosis and treatment of canine chronic valvular heart disease. J Vet Intern Med. 2009;23(6):1142–1150. VIEW A TREATMENT ALGORITHM FOR DIAGNOSING PRECLINICAL MMVD. Reference: 1. Atkins C, Bonagura J, Ettinger S, et al. 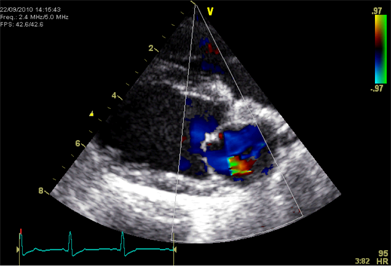 Guidelines for the diagnosis and treatment of canine chronic valvular heart disease. J Vet Intern Med. 2009;23(6):1142–1150.